(Local Post) 1959 long airmail cover to Denmark franked 40n.p. on 6d. together with Local Post 3p. tied by single double ring cds. 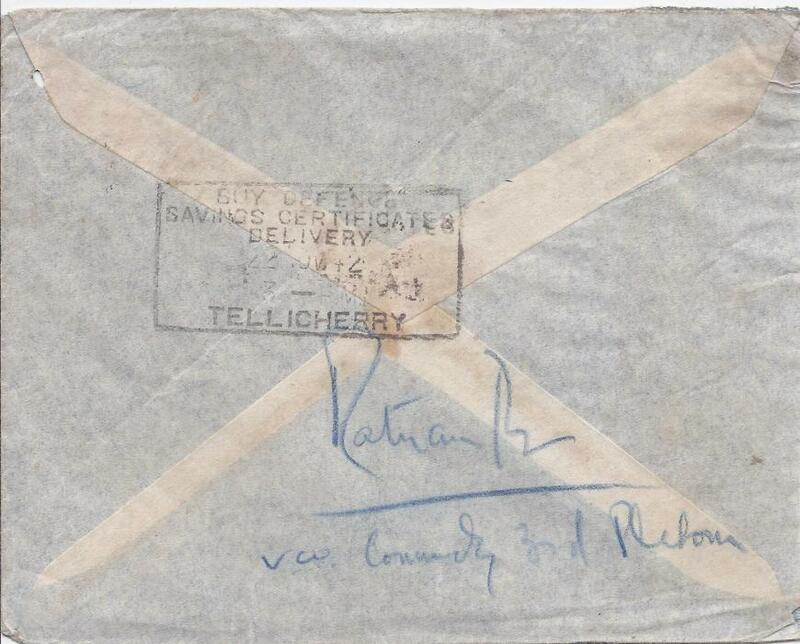 1942 censored airmail cover to Tellicherry, India, franked overprinted 9p. (2) and 1a. 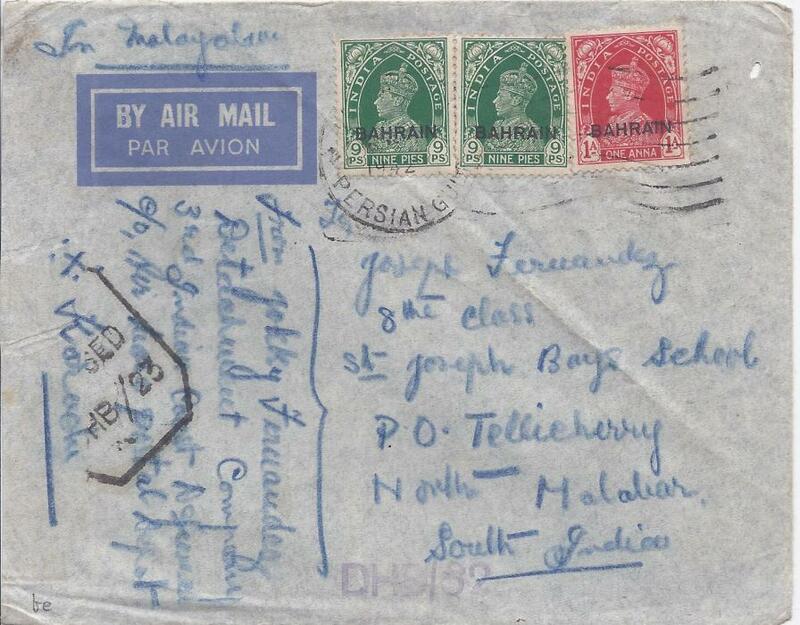 tied by Bahrain Persian Gulf wavy-line machine cancel, DHB/23 censor handstamp at left no longer tying missing censor tape, further DHB/82 handstamp at base, reverse with framed slogan arrival date stamp. The 9 pies a scarcer stamp on cover.